The Sony Xperia XZ3 is Sony's leading flagship handset, boasting a new slimmer design and a new OLED screen featuring curved edges. Sony is a long-standing name when it comes to mobile phones; they do have a solid reputation for making phones that perform well and are packed with features that please their customers and bring cracking handsets to the market every time. All manufacturers have a flagship phone, which is considered to be the best offering on the market currently and the new release of the Sony Xperia XZ3 marks this handset as the current Sony favourite. It replaces the Sony Xperia XZ2 and comes with some great features that make this a great smartphone that has a substantial following of Sony fans who will have been eagerly awaiting its release. 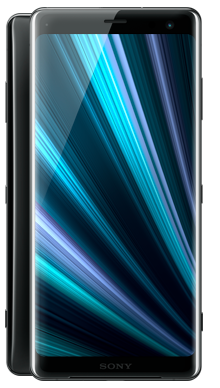 The XZ series has a reputation for being a high performing smartphone that brings a great range of new technology to the fore. The Sony Xperia XZ3 has received something of an upgrade and Sony seriously proud of this phone, and rightly so, this handset has a justifiably expensive price tag which reflects the prowess and performance on offer. 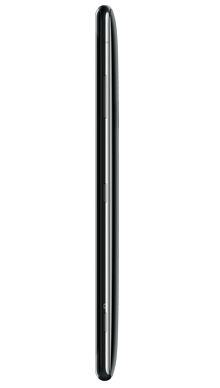 If we had to describe the Sony Xperia XZ3 in one word it would be curved. 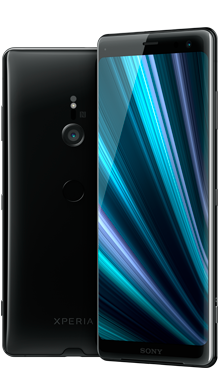 When the Sony Xperia XZ2 was released, it featured the new loop design which had a curved back and all glass designed and was the first handset not to follow the OmniBalance design that Sony has become famed for. 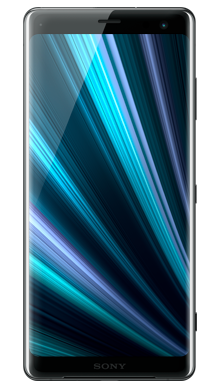 The Sony Xperia XZ3 goes one step further, and some of the curving has also been added to the front, and the end result is a really sleek handset that follows the infinity style that is so popular but has a unique look that Sony can rightly be proud of. There is a lot of glass involved in this handset, so it is good to know that it also features IP65/86 water and dust resistance. As you might expect for a high-end handset, the Sony Xperia XZ3 features an OLED screen which is a fantastic feature and an upgrade to the previously seen IPS LCD screens. The technology they are using also has crossed over to their television development which pretty much guarantees the Sony Xperia XZ3 features a seriously good display. Coming with QuadHD+, you can be sure that this handset means business. Sony is another company that felt their customers were looking for more colour in their mobile phone handsets and had released the Sony Xperia XZ3 in four shades. Black, white(silver), Bordeaux Red and Forest Green. Both of the coloured versions are pleasing and understated rather than garish and over the top. Following another of the latest handset trends, the Sony Xperia XZ3 does not have a standard 3.5mm headphone jack, which was expected as they also removed it on the Sony Xperia XZ2. The audio is pretty good with hi-res audio support and the Dynamic Vibration System. The speakers are stereo and are armed with S-Force Surround making this a good choice of handset if you like to stream music. Not much has changed in terms of camera technology. Following on from the Sony Xperia XZ2 the Sony Xperia XZ3 has the single lens rear camera which is 19MP, and the camera has Motion Eye. Not deviating from the early model the Sony Xperia XZ3 has HDR video capture and can make 960fps slow motion. The front camera has received something of an upgrade and now features 13MP which is a lot better and gives you access to Sony’s 3D creator. The phone does not offer facial recognition or iris scanning. 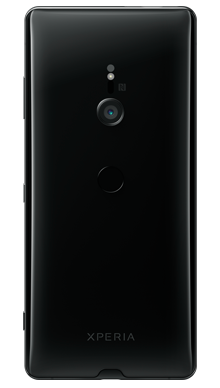 In terms of security as we have already mentioned the Sony Xperia XZ3 does not have facial recognition, but Sony has added a fingerprint scanner which sits on the rear under the camera, proving that this is the most logical place with most other manufacturers adopting the same thinking. Also giving a massive tick in favour of the Sony Xperia XZ3 is the wireless charging capability using Qi wireless, and the wired option is USB-C. The battery has been boosted and is now an impressive 3330mAh battery which offers a great range of use between charging. Under the hood, you will find a Qualcomm Snapdragon 845 which is what we expected to be fair. There is 64GB of storage that can be expanded using the microSD slot which can handle cards of up to 512GB which again is better than many at the same level, and it offers 4GB of RAM. The step up in screen technology has definitely set the Sony Xperia XZ3 apart from other Sony handsets and give more kudos to the flagship title. Other improvements have added to the weight of this phone, and the OLED screen is the perfect way to ensure the display performance. Nothing about this handset fails to impress, and it is already flying off the shelves, it will appeal to many different users as it has a wide range of features and an exceptional level of performance from movie streamers to mobile gamers, everyone will love this handset. Our Fonehouse team have been hard at work find the best pay monthly mobile phone deals for the Sony Xperia XZ3, and we have managed to find a great selection with loads of different options for you. At Fonehouse we work exclusively with EE and Vodafone so that we can be sure our customers have an excellent network service and connection wherever they are. We have also been able to secure some great extras from both providers. If you are looking to find Sony Xperia XZ3 deal, or if you have questions about any one of the specific deals with Fonehouse, then why not call one of our excellent customer service team today, on 0333 900 1133.